A roaming pop-up mezcal bar offering a real mezcal education and good vibes. Currently on a break while we source new and exciting distillates for the bar - more news coming soon! Building on our first pop-up in 2017 we took up residence for 8 months at Curio Cabal in Haggerston. 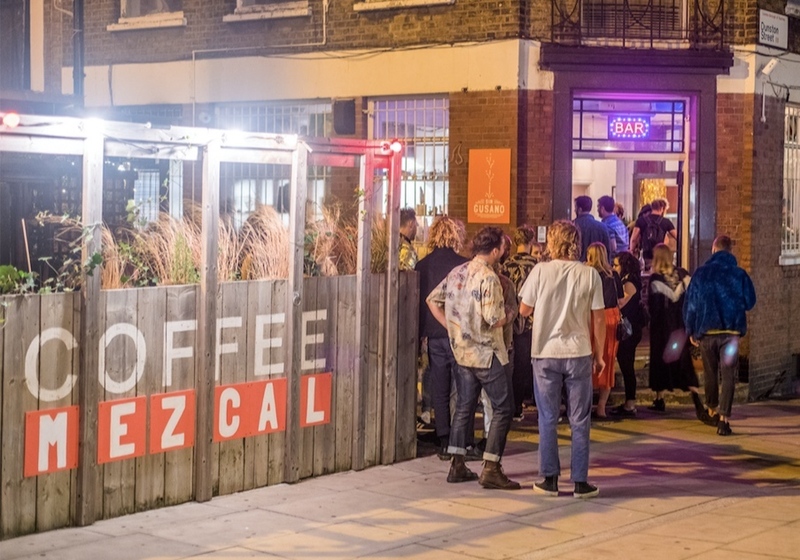 The space became a little piece of Oaxaca in London. As well as offering the most interesting mezcal menu in town, this space allowed us to run a calendar of social events including creative workshops, gigs, and hosting speakers from the mezcal scene. A full kitchen also allowed us to collaborate and experiment with other like-minded small businesses. Check out some of out food partnerships below. Our first venture into the competitive world of London hospitality. This tiny spot in Dalston was the testing ground for our new concept. It’s hidden location made it a place of legend for late night lock-ins! Elote's delicious tacos flew through the pass like, well, delicious tacos!